I have had a rough time this week, haven’t felt good, disappointment in certain things, hard days at work, so to counter that I thought I would share a few things I loved this week! 🙂 My niece’s blog called Whatever Is Lovelier – which is full of inspiration, DIYs, great travel photos, and reviews. Check it out, she has lots of fun stuff! 🙂 Loving the blog called Color Overboard – check out her feature called Unusual Book Covers – just love her concept of taking a title, illustrating the cover and her unique “intro” of her take on the imaginary book. 🙂 One of the samples of teas I got a chance to try at the World Tea Expo was Tea Xotics – I tried Bengal Peach – great flavor made up of Assam & Sencha with mango, peach, ginger and flavor. 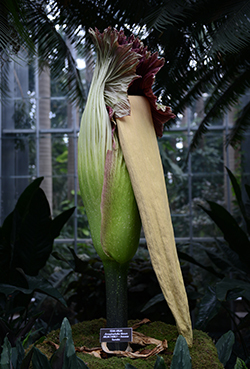 🙂 Every morning this week I checked out the live webcam for the Titan Arum – Corpse Flower – blooming at the D.C. Arboretum. 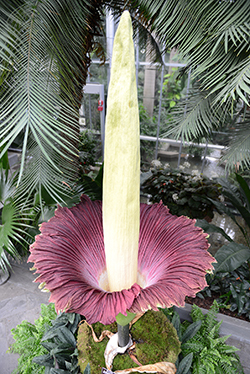 This flower is a 250-pound Indonesian giant that gives off the scent of rotting flesh when it’s ready to attract beetles and other pollinators — on its own unpredictable and irregular cycle. The first flower was at bloom – which apparently last 24 to 48 hours. Second photographs was of the collapsing corpse flower. 😦 One of the things I was super disappointed about this week was not winning the Scholarship to The Blogcademy in Austin, Texas. Not that I think I should win everything I enter, heck I never win anything, but I was proud of my entry and thought I had a chance. But, it just wasn’t meant to be at this time. One of the things I was most excited to do while in Austin, besides the class of course, was to see the bats that come out every evening at sunset under the Congress Avenue Bridge. Apparently there are 750K to 1 million bats that live under that bridge! Wow! Has anyone out there seen them fly out at night? Thanks for including my blog as one of the Things You Love this week, LAF! And thanks for your shared interest in all things tea and all things blogging, I love ‘talking shop’ with you!! Sorry it was a rough week. Something good is coming your way soon, I just know it! 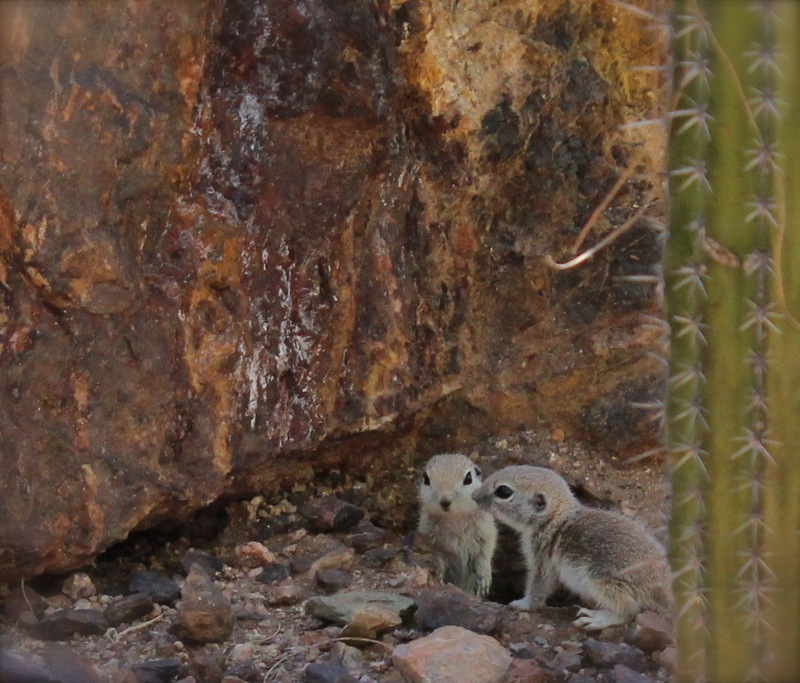 I always look forward to seeing the good things on your blog! So be encouraged, and keep looking up and looking for good things!